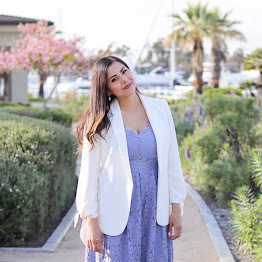 Today I bring you an exciting look that I styled for the Wallis' SUMMER STYLIST Contest! What I love about Wallis is that it specializes in making women look and feel their best with their extraordinary pieces, great quality and array of sizes (US sizes run from 4-16). This can be reflected in the dress I chose since I tend to stay away from shift dresses because they usually don't complement my wider bottom and my bust area. When I put this dress on, I was amazed how the shape of the dress worked its magic and fit like a glove. The material is so airy and the tribal print is right on trend that it makes it the perfect addition to my summer wardrobe! 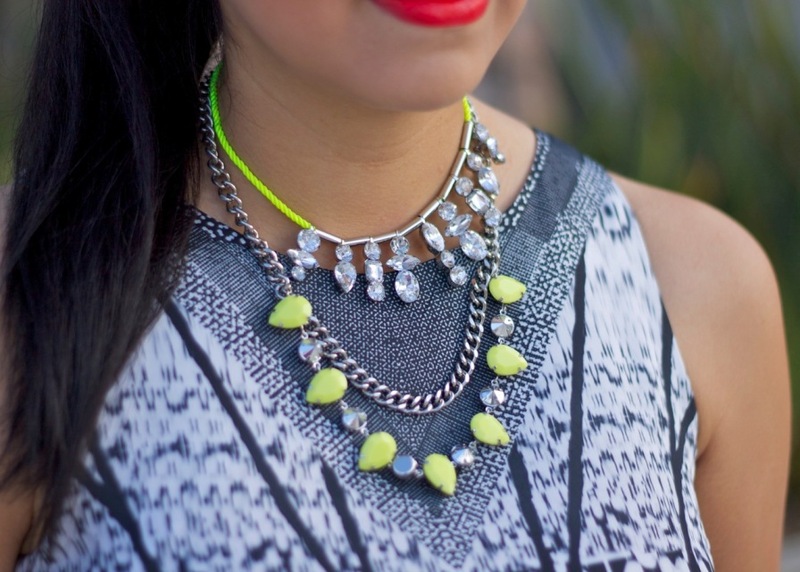 I added some pops of neon for a fun look that is perfect for a night out! About the Outfit: Wallis Dress c/o, H&M Necklaces (similar), Rampage Neon Shoes via DSW (similar, and I love these), Michael Kors watch, MAC "Lady Danger" Lipstick. Hope you like it and also make sure to 'like' Wallis on Facebook and vote for me when the contest begins! P.S. Don't forget to enter my HUGE Beauty giveaway here! You look amazing and this is a fabulous look. Love every single piece! So lovely! This is really a great look! You look BEAUTIFUL! that dress fits you perfectly! love your outfit paulina! Oh I love the dress, it kind of has an art deco feel to the print on the dress! Plus I really like the pops of neon you added to your outfit! I love it! The pop of neon looks super chic with the B&W! Love the dress! I usually stay away from shift dresses too but maybe I'll give them a shot now after seeing how good it looks on you. Gorgeous!!! I love the neon touch! amazing outfit darling!! One of my favorite looks! I LOVE the pops of neon! FAB! I love the neon and tribal look. I feel like I need some neon heels in my life. I have yet to purchased a pair. Hopefully before summer ends lol :D Te mando un abrazo! PS: LOVE the lip color! We absolutely love this outfit and the pop on neon.